Enjoy tea time like you're in the Souks of Marrakech! The authentic Moroccan tea experience is now yours with this metal serving tray. Serve drinks, food and desserts with ease and style. Also perfect as a table ornament. - Metal serving tray with unique Qalea etchings. - Made from metal. 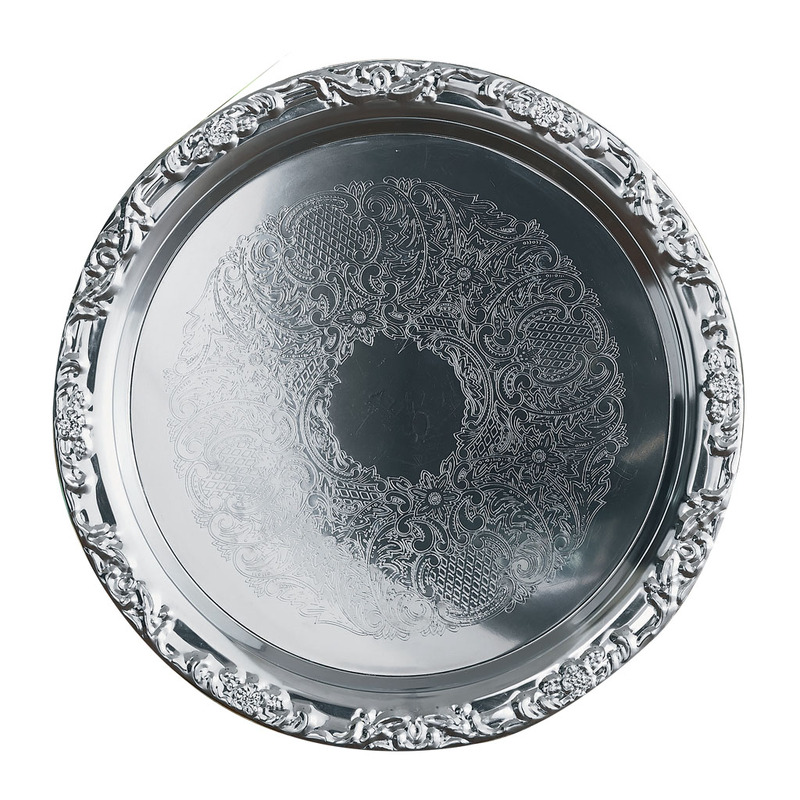 The authentic Moroccan tea experience is now yours with this metal serving tray. Serve drinks, food and desserts with ease and style. Also perfect as a table ornament. - Metal serving tray with unique Qalea etchings.